At Rulon Financial & Tax, we plan for abundance but protect against the unexpected. We are all at different positions in our financial lives. For those who are just beginning or making a new start on the path to financial wealth, Rulon Financial & Tax can develop flexible spending plans to establish the cornerstone of our clients’ financial lives. For those further down the path, we help grow and protect the wealth they have begun to establish. 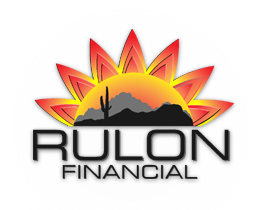 And for our clients who have attained their financial wealth, Rulon Financial & Tax will help organize and plan for its distribution in accordance with our clients’ wishes. We are especially proud to help individuals and businesses navigate retirement waters with asset allocation and advice on theirs 401(k)s, 403(b)s, 457 plans, IRAs, and Rollovers. Come visit Rulon Financial & Tax to see how we can help you along your financial path.